It’s hard to say anything negative about Hunt for the Wilderpeople. The film’s quite funny, well-directed, full of entertaining performances. But for whatever reason it just didn’t click in my mind, instead causing me to feel like a third wheel listening in on a conversation instead of being a participant. I can see why certain people might gravitate towards and even love it; movies like this one – ostensibly original yet conventionally spun – exude a kind of swagger no matter the substance behind the story. 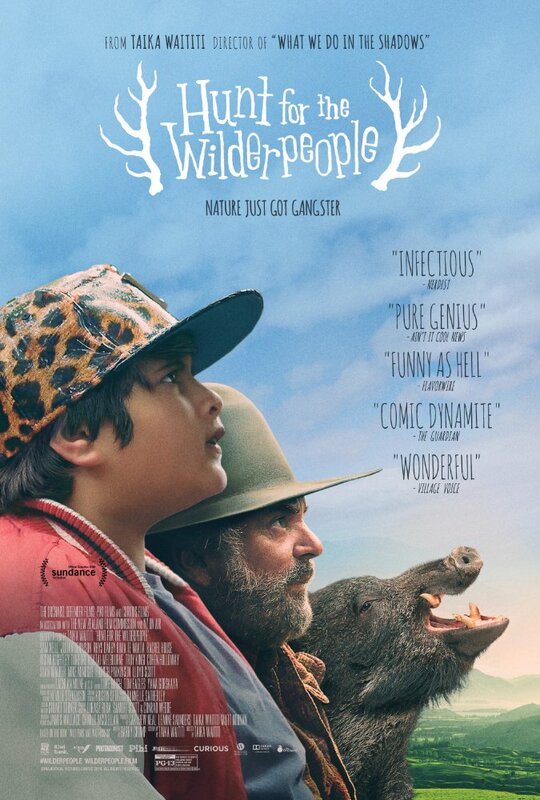 Hunt for the Wilderpeople thinks it’s a better film than it really is, but that doesn’t make the picture any less entertaining considering the pretty package it’s delivered in. 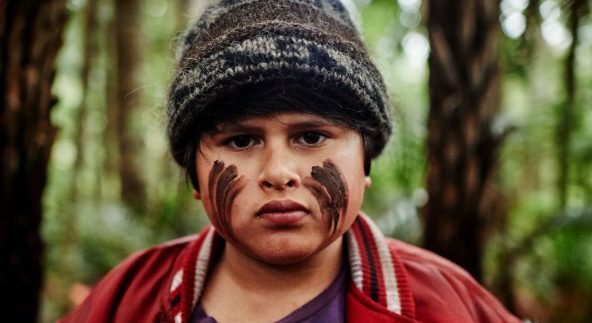 On a positive note, I don’t think the film could have found a better fit for their problem child lead Ricky Baker than up-and-comer Julian Dennison. The young man brims with confidence and even shows notes of insecurity, clearly unafraid of the spotlight or the camera’s focus. A star has been born. His discovery is welcome too, because through Ricky’s own mercurial personality we’re able to experience the movie’s eccentricities and sharp turns in tone. He’s a so-called “bad egg,” bouncing around foster care homes and placed in the custody of his zany Aunt Bella (Rima Te Wiata) and her irascible hubby Hec (Sam Neill). Bella passes away soon thereafter which leaves Ricky with a decision: run away or stick it out with Uncle Hec? Off to the bush he goes, swiftly followed by his last remaining kin, and it’s there the journey admirably goes for broke. Perhaps the film’s greatest comedic component comes in the form of social worker Paula (Rachel House), hot on the tails of Ricky and Hec, escalating their unintentionally extended stay in the wild to the level of an all-out manhunt. And I also believe that high note ultimately serves as a curtailment to the rest of the story. It may be undeniably fun, but paired with the film’s anthology structure – broken into chapters lacking the cliffhangers of serial storytelling – the events become muddled and hard to digest. Each segment has entertainment value to spare on a singular extent, although they eventually come to lose a bit of the emotional dynamism when lopped together. Not only does the narrative style make the film feel longer than the runtime is, it becomes a written title card we expect to read before eventually being seen. This one could have packed a punch had it not forecast the incoming blows. Before he set off to begin production on the next big-budget Thor movie, director Taika Waititi managed to use this film as a backdrop for mankind’s relationship with nature, never shying away from allowing cinematographer Lachlan Milne to capture some gorgeous aerial and still-frame shots of their native New Zealand countryside. Waititi shows that he can direct action, so pairing his pension for deadpan humor should bode well for Marvel’s air-headed hunk with a hammer. He’s made a solid film, albeit one I’d argue doesn’t have the kind of explicit underlying message it pretends to be harboring throughout. 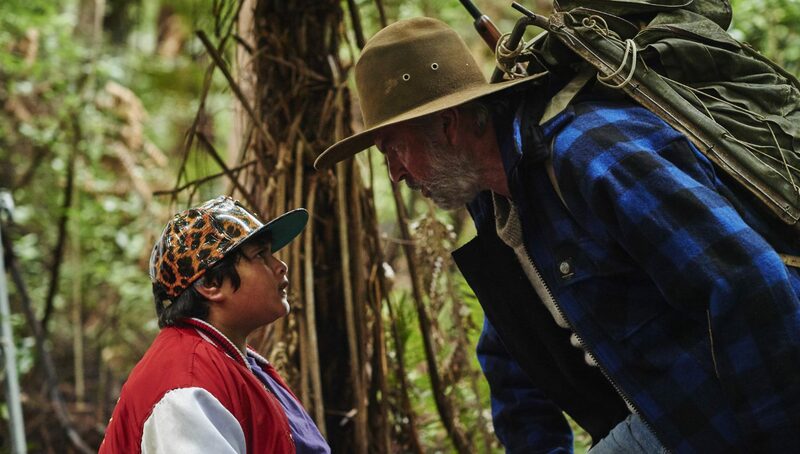 Hunt for the Wilderpeople has the initial hook, the long line of emotionally defensive humor, but ends before dropping the all-important sinker.